I've had the pleasure of knowing Tony Kim for over three years know. We met on Twitter and then IRL at Phoenix Comic Con 2013. From the beginning of our friendship, Tony has been a huge supporter of The Nerdy Girlie and connecting the nerd community like I was. I am so happy and proud of what he has created with his new brand Hero Within. 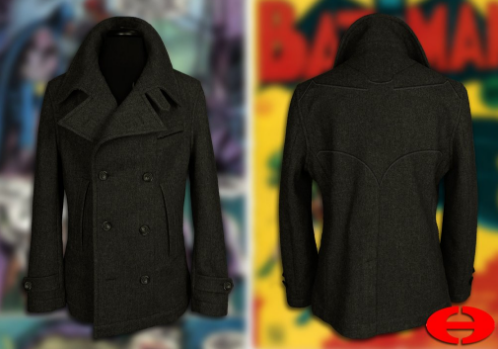 Though the line is geared towards men, I would LOVE to wear the Batman peacoat! 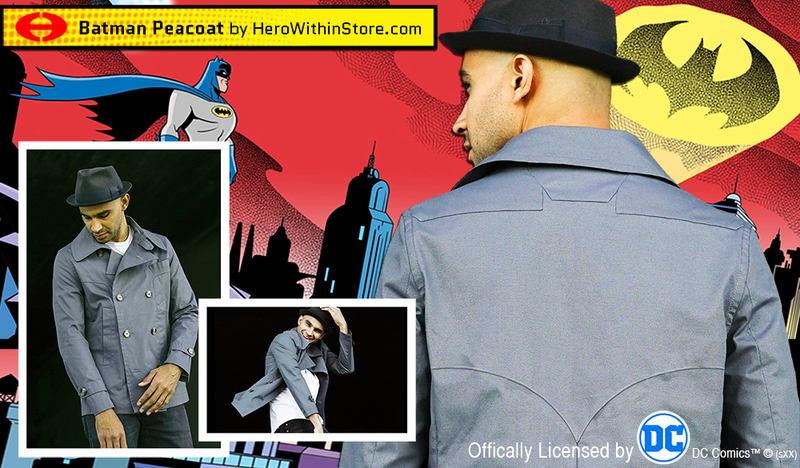 Learn more about Hero Within BELOW and pre order your coats now! 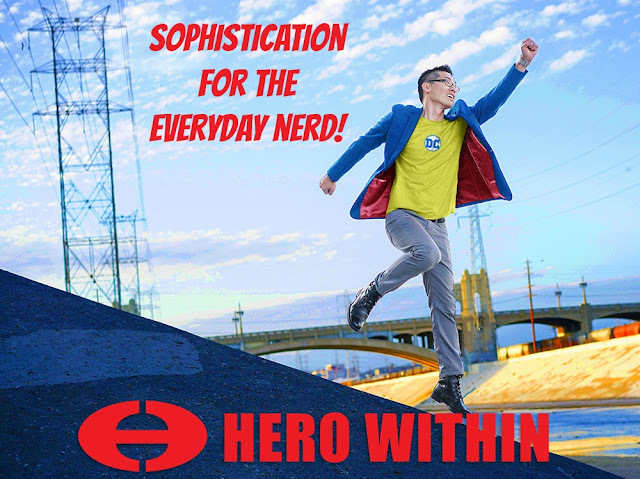 Hero Within is a lifestyle men’s fashion brand that celebrates the heroism found in today’s modern geek. While it’s never been easier to be a passionate geek, expressing your fandom in a professional environment still remains difficult. With very few options, fanboys are mainly left to t-shirts and hoodies. The Hero Within vision is to merge sophisticated outerwear that both reflects geekdom as well as expresses our inner hero. Today’s nerd are more than just enthusiast but are online content creators, influencers in business, shapers of culture and change makers in the community- they should have fashion to express that. 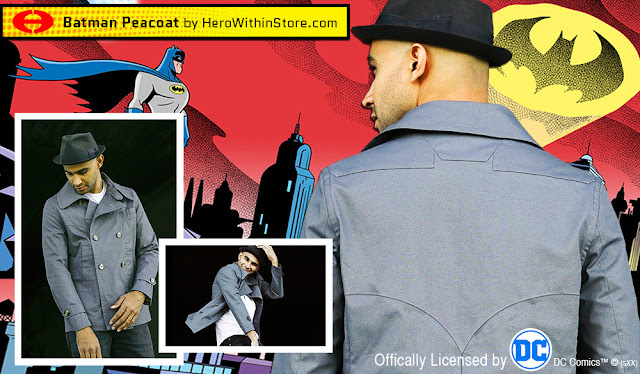 Whether it's Superman, Batman or your favorite DC ComicsTM hero, we uniquely integrate iconic symbols into the construction of each garment, creating a subtle yet bold statement. This innovative approach will redefine how men express fandom. Our Hero Within collection is perfect for the office, out on a date, meeting clients or attending an event. With many options, we provide elite geeky style for everyday geeks. Hero Within is officially licensed by DC ComicsTM. With an introductory post from Crazy4ComicCon.com, HeroWithinStore.com will exclusively be open for Pre-Orders 8:00a PST, July 6th to July 31st 2016 (or until they reach capacity). The store will reopen at a future date. The entire collection will be at San Diego Comic-Con (Location TBA on website). Visit the collection at HeroWithinStore.com. To learn more about Hero Within follow at @HeroWithinInc and Twitter, Instagram and on Facebook.